While it may have been assumed that Apple planned to launch an Internet radio service to compete with the popular Pandora, industry experts believe that Apple’s digital debut is instead designed to shield its music sales business from competitors like Spotify and similar on-demand services. Their rationale is that research has shown how around 40% of consumers still think it’s important to own music rather than simply listen to it. These consumers also said they were driven to purchase new music after initially hearing it on an on-demand service. The Radio and Internet Newsletter featured additional details about this online radio revolution. Experts believe that people who listen to on-demand music are less inclined to purchase it because it’s always within reach. This on-demand music simply replaces the need for music ownership, which makes services like Spotify direct competition for iTunes download sales. Conversely, Internet radio services like Pandora encourage music sales by letting people explore the music they love and recommending similar songs they would likely want to purchase. Apple’s proposed iRadio would follow that streaming pattern of letting people hear the kind of music they want, yet make it a little bit simpler for them to instantly buy the download. Still, Apple will have a hard time competing against the hugely popular Pandora since the service already has a comprehensive sales structure designed to capitalize on conventional radio advertising spending. In addition, Apple will find it very difficult to rise to the levels of personalization and discovery that have helped Pandora corner the market. 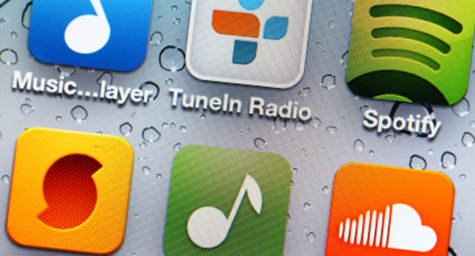 Yet with the slight decline of Apple’s still-dominant download sales in recent years, experts agree that it’s a good idea for Apple to expand into online radio in an effort to bring digital radio to a larger audience of potential music buyers. Apple’s debut is also intended to prevent users from moving toward on-demand radio services for their music experiences. To leverage the power of radio advertising, contact MDG Advertising. MDG Advertising, a full-service advertising agency with offices in Boca Raton and New York, NY, is one of Florida’s top creative ad agencies. Our 360° approach uses just the right mix of traditional and digital marketing to reach your advertising goals. While some industries may fare better in print, television, or radio advertising, and others online, we strive to create a balanced approach, where traditional and digital marketing efforts support each other and your message is tailored to the medium. To learn more about the latest trends local television advertising, contact MDG Advertising.